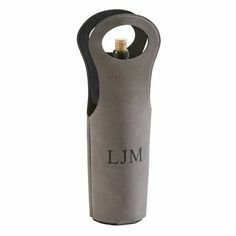 An individual’s monogram creates a unique and sophisticated appearance and they seem to be popping up everywhere. 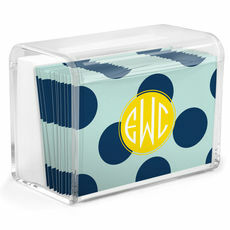 You can often see monograms on clothing, home decor, printed napkins, jewelry, and of course on stationery and notepads. 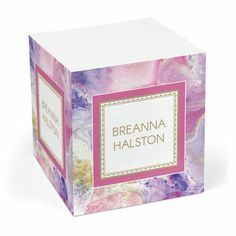 The proper order for a monogram is very important and should be carefully placed and composed with either formal script of block letters. 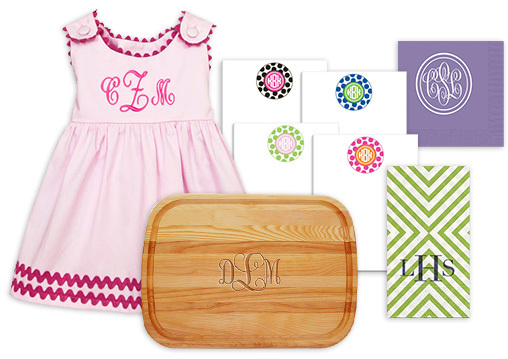 Monograms can either be straight across or together the letters might create a diagonal shape, an oval or a circle. Sometimes when the left and right letters are placed into shapes the letters are flipped over and can have a unique appearance. 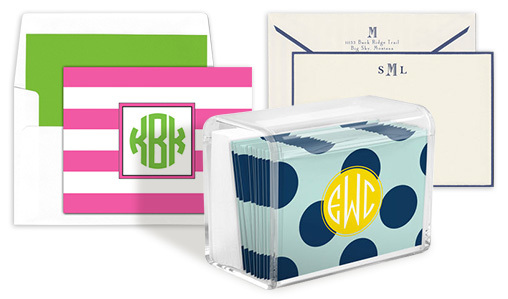 The easiest to read monogram are straight across whether interlocking or not. 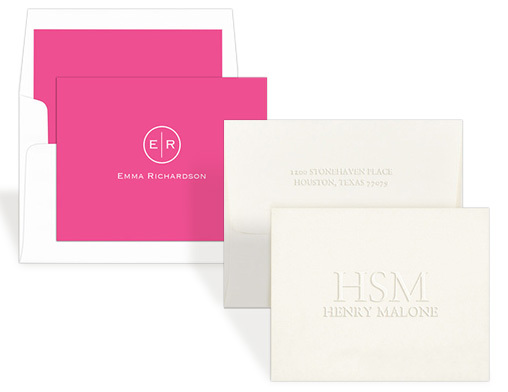 There are luxury monograms featuring calligraphic elements and flourishes to create identity for businesses such as restaurants, hotels, fashion lines and more. 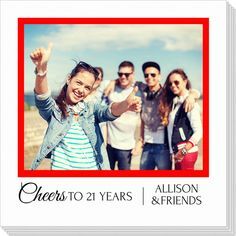 Everyone, young or old, male or female, married or unmarried, has a monogram. 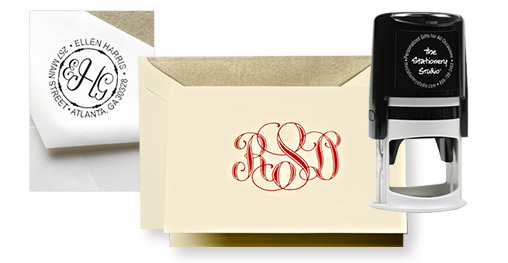 The letters of the monogram represent the letters of your name or can represent your married name. The order of the letters appear in a very specific way. A monogram is generally three letters and they are either interlocking or combined in such as way to create a design. 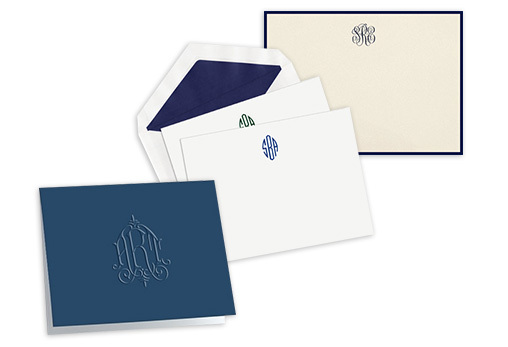 For an individual’s monogram, the letter on the left represents a first name, the letter on the right is for a middle name and the large letter in the center is for a last name. For example, Susan Lynne Miller would have this monogram: SML. For a married monogram, the letter on the left represents a woman’s first name, the letter on the right represents the man’s first name, and the large letter in the middle represents their shared last name. Therefore, if Ellen Marie Smith was married to Charles Adam Watson, their married monogram would be EWC. 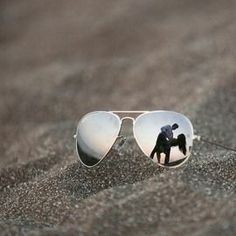 For an LGBT relationship, determine the placement of the initials simply based on the couple’s preference and then middle larger initial would represent a shared last name. 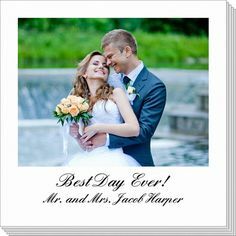 If there is no shared last name consider using two same size initials to represent the two first names together or even consider using four initials to represent the first and last name of each person in the couple. For a single person wanting same size initials, the letters would appear in the order of the name, such as Caroline Joy Thompson’s initials would be CJT and the letters would all be the same size. 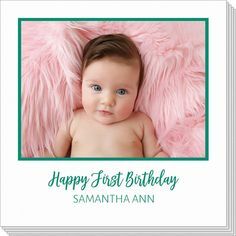 The order of the letters in initials is different from a monogram in that the initials will go in the order of a name: first name initial, then middle name initial, then last name initial. 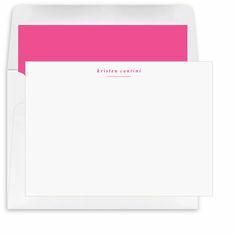 Alternatively, married or engaged couples may use their two-letters representing their first names and place those letters together. Again, this is referred to as initials rather than a monogram. 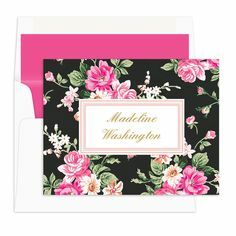 Initials on personalized note cards and other stationery are a popular option but the monogram remains the ultimate personalized preference for many.